As we celebrate the anniversary of Greek Independence for more than four hundred years of Ottoman rule, Democracy, worldwide, is under assault. With authoritarianism on the rise, Greek Independence Day is important for all who cherish freedom to remember. On three occasions during the span of less than 125 years, freedom’s light in Greece came dangerously close to being extinguished by some of the darkest forces of seemingly invincible tyranny; in the 1820’s by the Ottoman Turks, in the 1940’s by the Axis powers, and in the mid to late 1940’s by Communist insurgents. In each struggle, the Greeks fought against much more difficult odds than we face today. When Greece, the underdog, struck an unlikely blow for freedom against the seemingly invincible Ottoman Empire, democracy was reborn in its birthplace. 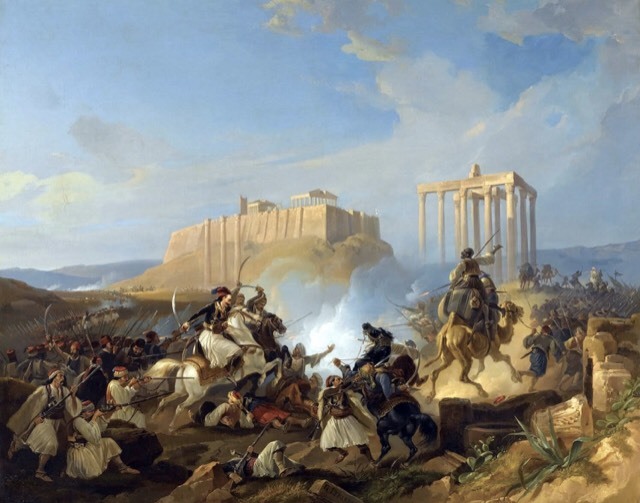 Ottoman Turkish occupied Greece had missed out on the European enlightenment and the revolutions, such as the American Revolution, which were inspired by Ancient Greek civilization ideals of freedom and democracy. The Greeks, who had endured more than four hundred years of Ottoman Turkish occupation and attempts to erase their history, language, traditions, and culture, showed the world that freedom’s light can never be fully extinguished. With the defeat of Nazi tyranny in WWII, however, some of Greece’s darkest days would come as war torn Greece became ground zero in the first proxy war of the Cold War. The highly polarized struggle between the ideologies of the left and right and attempts to fill the power vacuum left by the retreat of the Axis powers, escalated to armed violence. Armed rebellion ensued between Greeks as leftists refused to disarm and called for resistance. The Greek Civil War against Communist tyranny from 1944 to 1949 fought by Greeks supported by Great Britain and then, the US, against Greeks supported by the newly formed Socialist countries of Yugoslavia, Bulgaria, and Albania, backed by the Soviet Union, pitted brother against brother as Communists attempted to bring Greece behind the “iron curtain.” A combination of US Truman Doctrine Aid, Marshall Plan Aid, and US military advisor support led by US Army General James Van Fleet, supported the most successful counter-insurgency effort of the twentieth century. Freedom loving Greeks defeated the Greek Communist guerrillas and proved, once again, against all odds they had the “will to win,” as the General would say, to keep freedom’s light burning. 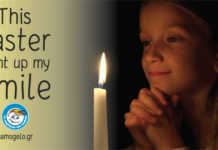 May all who struggle to keep freedom’s light burning draw inspiration from the courage of the Greeks. Commander Demetries Grimes is a former US Naval Officer, aviator, and Diplomat. 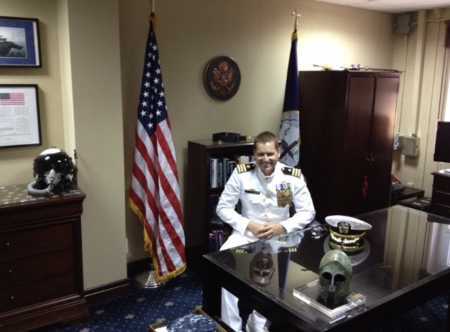 He has served as Naval Attaché to Greece. Naval Attaché to Israel, Deputy Commander of the US base in Crete, and Advisor to NATO’s Maritime Commander in London, UK. Next article“Journey Through the Aegean” With the Hellenic Dancers of NJ!